IAF Group C Recruitment 2018 Notification is updated with the 79 Air Force Group “C “ posts like MTS, LDC, Other Vacancies at the main website @www.indianairforce.nic.in.. From 12th May 2018 to 30 days from the notification release date are the application accepting dates. Offline copy of the Indian Air Force Application form was given below.LDC , Multi Tasking Staff, Safaiwala and various posts etc are the total 79 Group C posts. Indian Air Force Recruitment 2018: Candidates do you get any idea about IAF Group C Recruitment 2018. Yes!! The Head Quarter Air Command-Indian Air Force invites the application for the candidates to fill the gap in the Group “C “Civilian Job Vacancies in the posts called MTS, LDC, Cook, Mess Staff, House Keeping Staff etc. So, who are ready to participate in the Recruitment Process, they download the Official notification & know the full-fledged knowledge in the overall post wise. Candidates can also check out the Recruitment Notifications in detail. We are ready to give the information relating the post. So, willing candidates can also check out here the application link to fill the details. For more information Check out RecruitmentIndia.In Candidates can also check here the renovated notifications. IAF Group C Posts Notification 2018: Most of the candidates is already commenced. So, all the well-being applicants need to apply for the post of Group -C Civilians on 79 Posts Cook, Safaiwala, MTS, Painter, Mess Staff to have the great scope on your future. the eligible candidates can submit their application forms before the last date as per rules of the organization for more renovated notifications visit our site. Or the candidates can also get the maximum information on the main official website. Dear Aspirants, you may be ended the Online application on before completion of 30 days of the Air Force recruitment notification. For this recruiting process, the candidate has to follow the instructions. So, click here to apply for this Indian Air Force Latest Vacancy Notification. Almost the Aspirants have the idea about the exam. If not, common let’s go for the Exam View for the reference purpose… More Indian Air Force Jobs around here. Application Ending Date: 30 Days from the date of notification. As per the requirements of Matriculation pass or equivalent qualification with diploma or ITI certificate from govt recognized board or university is sufficient. Selected candidates will get the pay scale as per the norms of the IAF Group C Recruitment 2018. There is payment for the IAF Group C Recruitment 2018. They need to pay as per the rules of the Government. Apply IAF 79 MTS, Other Group C [email protected]: The Head Quarter Air Command-Indian Air Force issued the update for the candidates who are completed in Diploma. 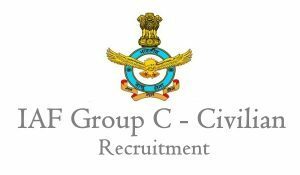 It is the good platform for getting the overall information regarding the Recruitment Notifications.We are Yielding the IAF Group “C “Civilian Recruitment Job Openings information. Almost the participants can submit the application form on time. Or else the application will be canceled. Pay the fee as per the Notice. Then, fill the correct & Genuine information on the application. The Exam will be conducted very soon. Well, In this article, candidates can get the Vacancy details clearly. After finalizing the Candidates the IAF Board Officials choose 79 candidates to work as a Group “C “Civilian posts like LDC, MTS etc. So, check out once to know complete details. Must readout the complete article to know the important information relating to the Post. Indian Air Force Group C Recruitment: Mostly, Candidates can struggle for getting Govt Job in the Competitive World. Well, we all know that But, How can we cross that competition, By doing the only Hard work!! no not at all .. Participants should get the some Smart Work also. Proceeding for the preparation round give the Air Force application form from 12th May 2018 and before ending of 30 days duration period. By using smart work candidates can save the time while attempting the Question. Such process will helpful for you to have more time in the exam. Such a process we provide you by giving some tips to get the maximum score on the exam. So, don’t worry participate in the Recruiting Process, then, get the good score in the Written examination. Cross the Final Round. Yo will get succeed in the Career. Download along with offline application form. plese tell me how to i can apply. sir, iam applied iaf coimbatore post applied HKS. Good Morning Sir. Maine 26/09/2018 ko post – mts ke liye offline exam de diya hai isaka result kab aayega please sir denote me.